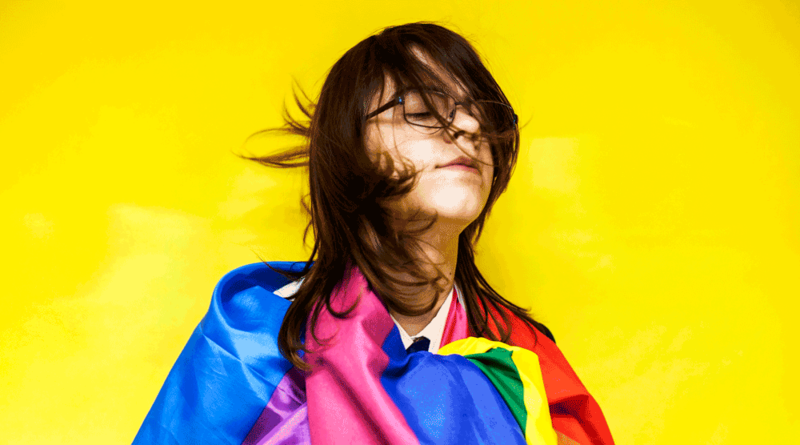 Fife Contemporary has given young photographers in Kirkcaldy and St Andrews the opportunity to work with professional artist Jannica Honey and make high quality work for an exhibition marking Scotland’s LGBT+ History Month 2019, celebrating the theme CATALYST:50 years of activism. In her own work Jannica has been commissioned to photograph many people from Scotland’s First Minister to leaders in the Scottish music industry. Members of Kirkcaldy’s Flavours of Fife and Madras Pride groups were introduced by Jannica to some of the basic principles of photography and encouraged to consider how the ways we photograph people influence how we relate to them. With support from the artist the participants experimented with different backgrounds, lighting, props and poses. They were empowered to make photographs of each other and in collaboration with each other which explore identity and present images of how they want others to see them. Through the short artist residency the enthusiasm and creativity of the young people was clear but the quality of their portraits is astonishing and impressive. They present a mixture of questioning and confidence through images which will allow current and future viewers to ‘meet’ and be inspired by some of today’s young Fifers. During the February 2019 history month a selection of framed photographs will be displayed at Kangus Coffee House, Kirkcaldy and in St Andrews at both Madras College and St Andrews Town Hall. For Fife Pride in early July work will also be shown at Kirkcaldy Galleries and a digital exhibition will be displayed on the Fife Contemporary website. The photographs were displayed at a reception in Edinburgh on 21 February at the request of David Mundell, Scottish Secretary.